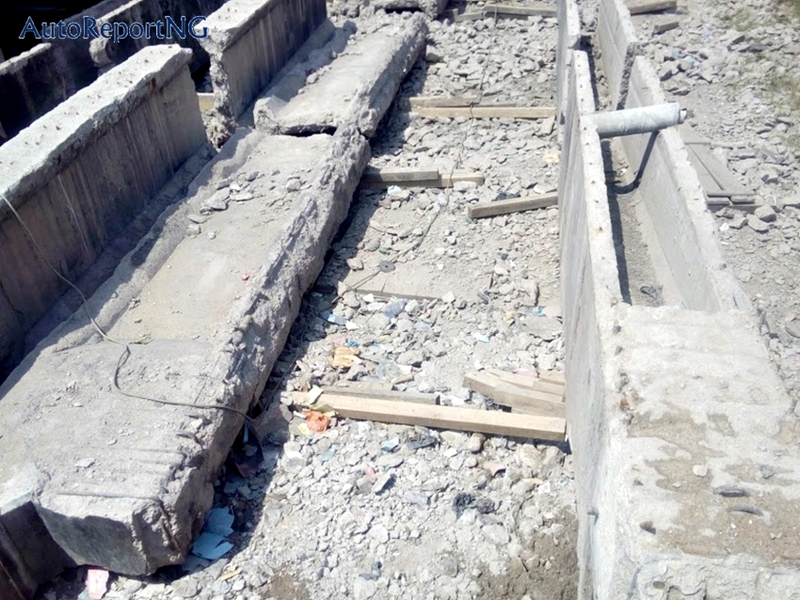 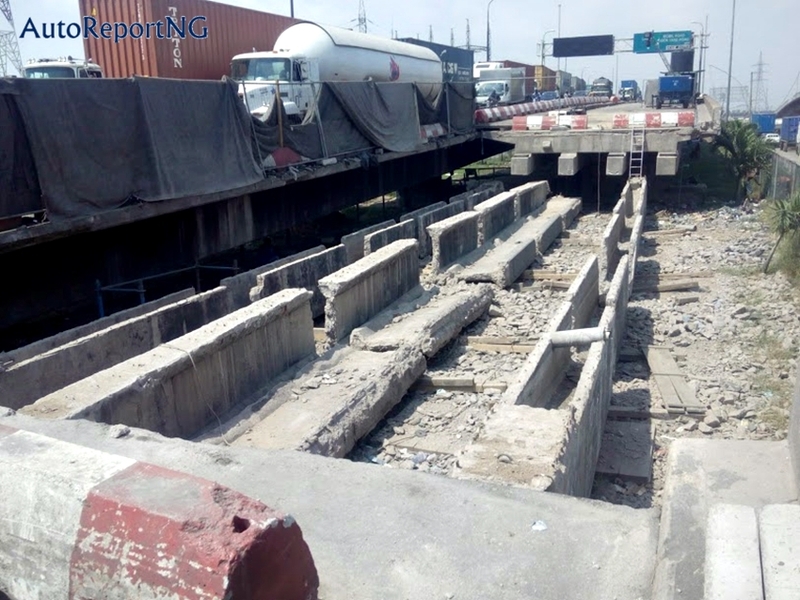 Slow Renovation Works Begin At Apapa-Ijora Bridge - Photos - AutoReportNG "AutoReportNG-The No 1 Car Blog In Nigeria That You Can Trust - AutoReportNG"
After a series of delay and waiting, it seems the renovation works on Apapa-Ijora Bridge may start any moment soon. 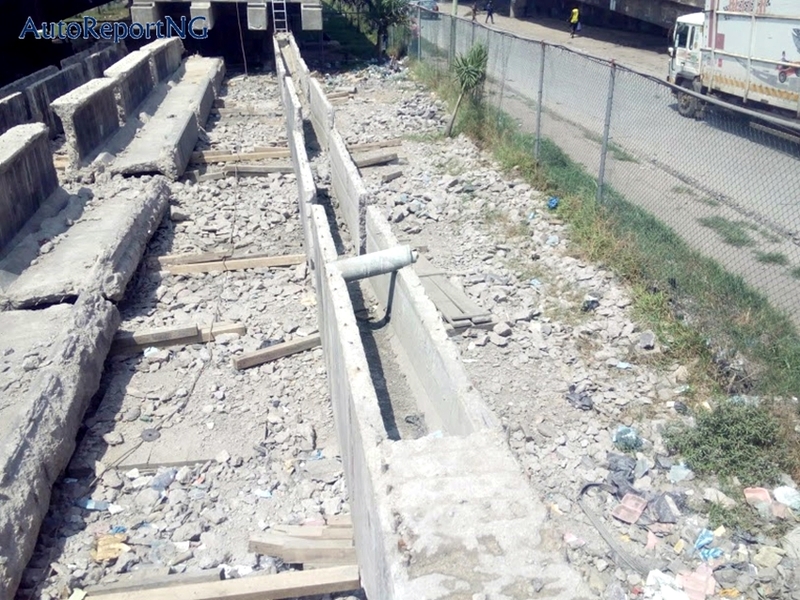 The renovation which has started since April has dragged for so long and it seems the workers have all gone to sleep as they are being stuck the same spot over 6 months and still counting. 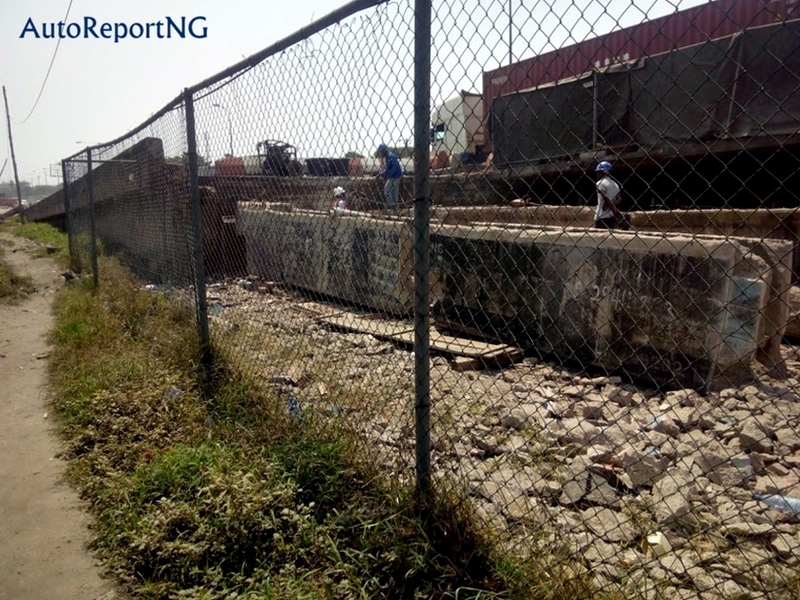 The renovation is being handled by the construction giant, Julius Berger Nigeria PLC. 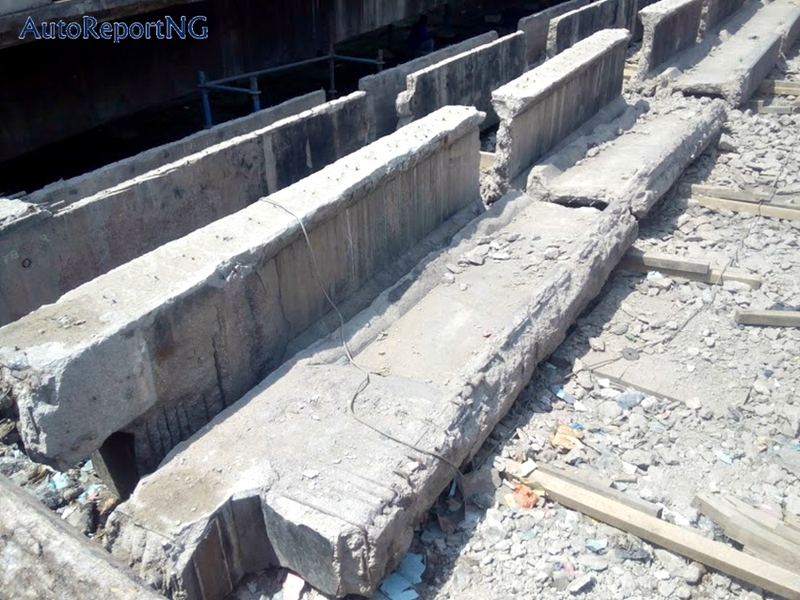 When AutoReportNG visited the spot, we noticed some blasting going on the bridge and while some parts of the bridge are being worked upon. 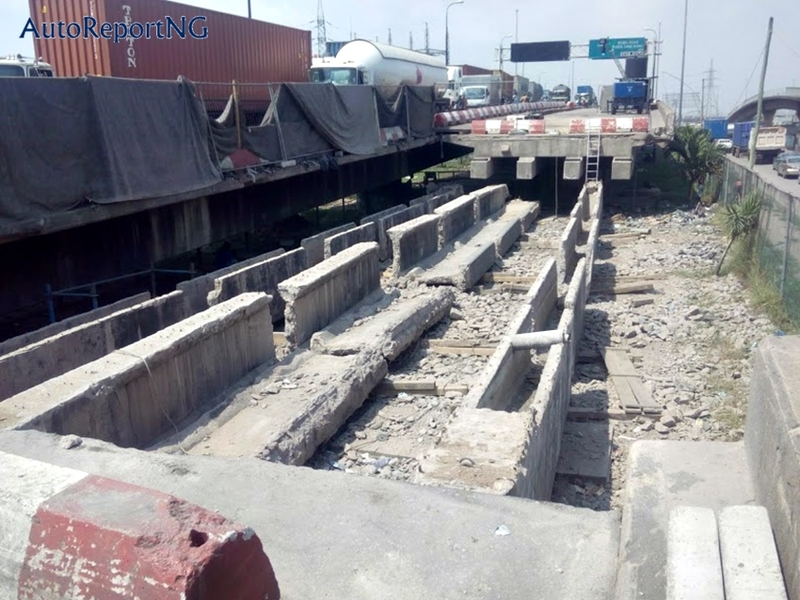 It was earlier reported that since the scraping of the bridge surface and closing the stretch to traffic, no visible work has been going on there except construction workers wearing reflexive jackets, sitting in clusters, chatting, sleeping and waking up. 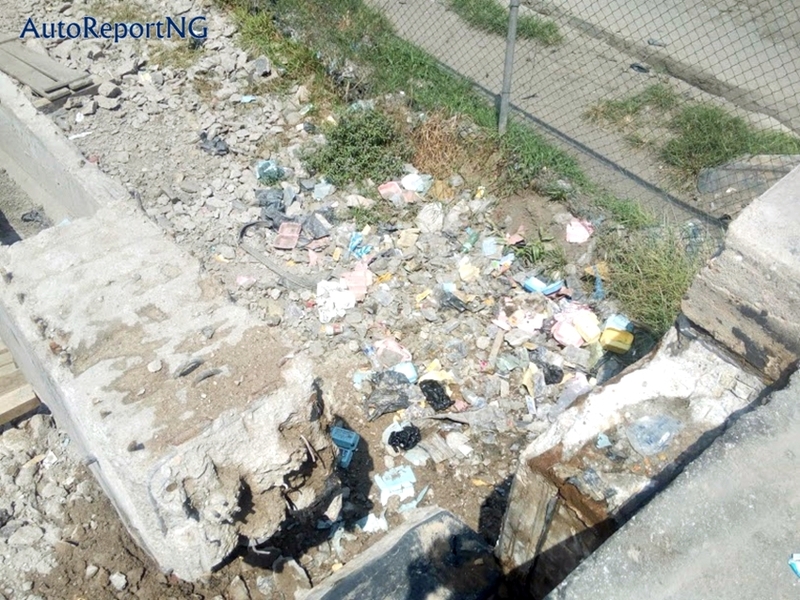 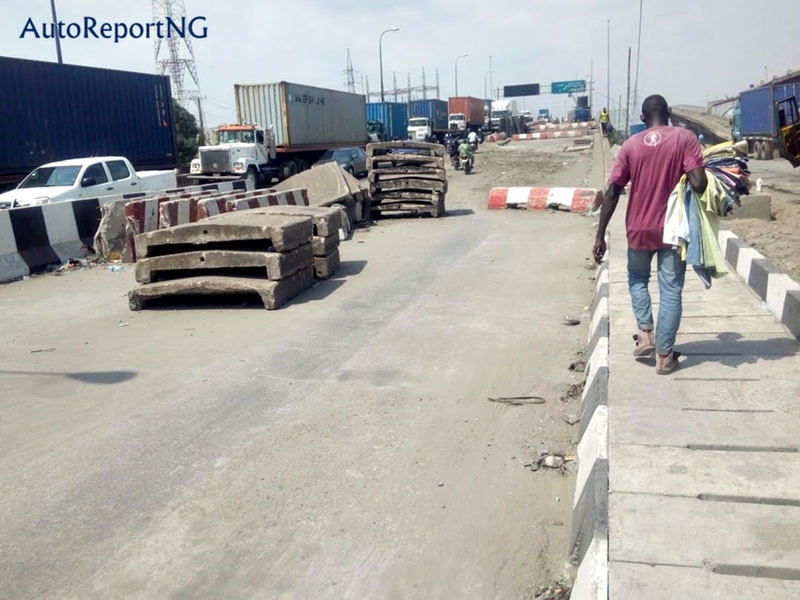 AutoReportNG visited the site at Leventis axis where the bridge is been worked on, we noticed that only 2 workers are on ground and a security guard, of which they only did a minor work and they are nowhere to be found again. 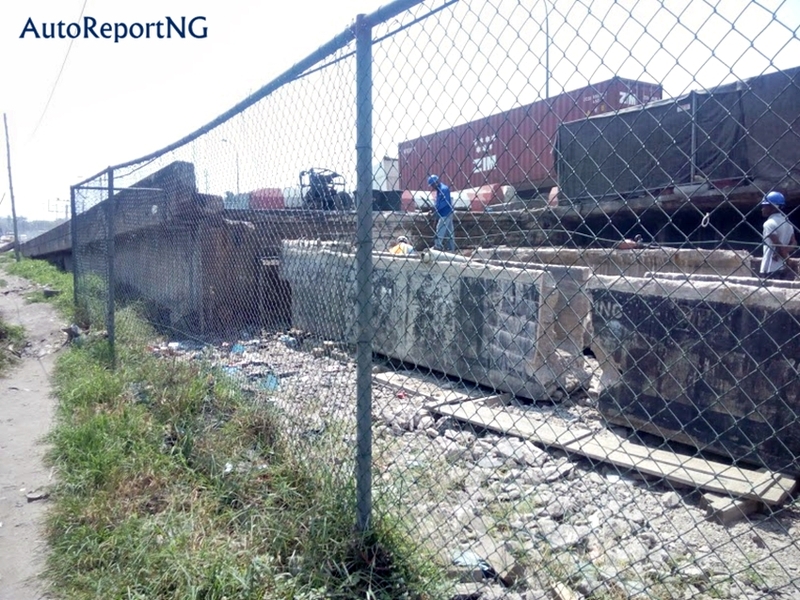 The Ijora Bridge is one of the only two major routes to Apapa ports which are the busiest seaports in Nigeria. 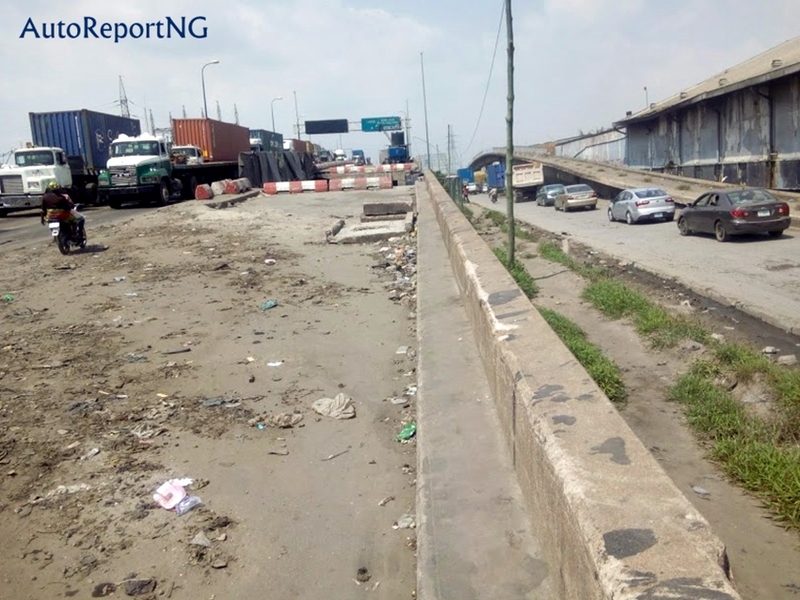 This explains why Apapa as a port city is not only congested but also suffocating businesses and residences many of whom are now seeking alternative locations. 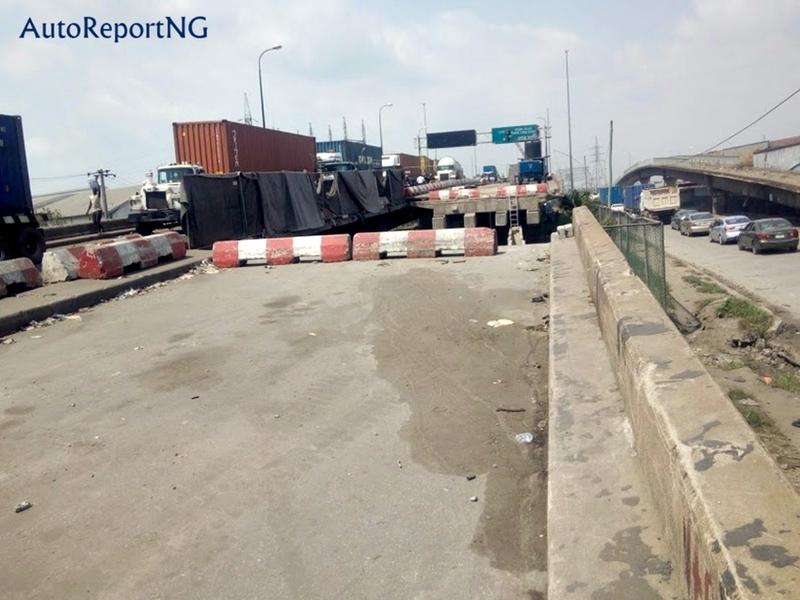 The closure of the bridge has heightened the notorious Apapa gridlock and added more stress on motorists who have been compelled to use equally bad and narrow alternative routes, spending over four hours commuting to the port city each day they put their cars on road.